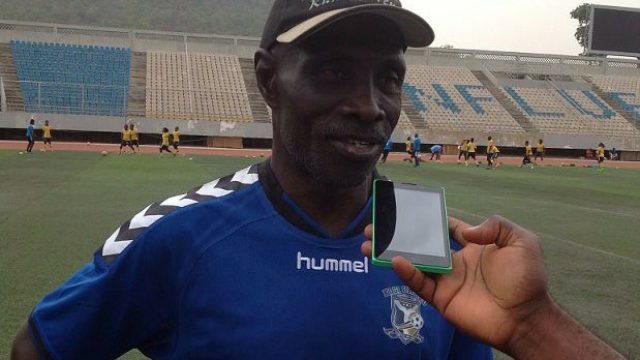 Coach Tunde Abdulrahman of Kogi United has complained bitterly over the quality of officiating at the ongoing Nigeria National League (NNL) Super 8 playoffs in Aba. Kogi United failed in their attempt to gain promotion to the Nigeria Professional Football League (NPFL) after a heavy 3-0 loss to Kada City on Day 2 of the playoffs. And despite a 2-1 win against Real Stars on Wednesday, Abdulrahman’s men finished third, with Gombe United and Kada City picking the two tickets from the Northern Conference of the competition after they played out a goalless draw. “I think if this is what the Super 8 is all about, there is no need for the Super 8,” an angry Abdulrahman said after his side’s loss to Kada City. “Teams should be shortlisted for them to get to the NPFL. “Because for us as coaches, working hard every day, and coming for the Men in Black (referees) just to frustrate our efforts, is just too bad, and not encouraging for Nigerian football. “These things keep on happening in the league, happening here (Aba). I don’t know what to say, but it is just really unfortunate.